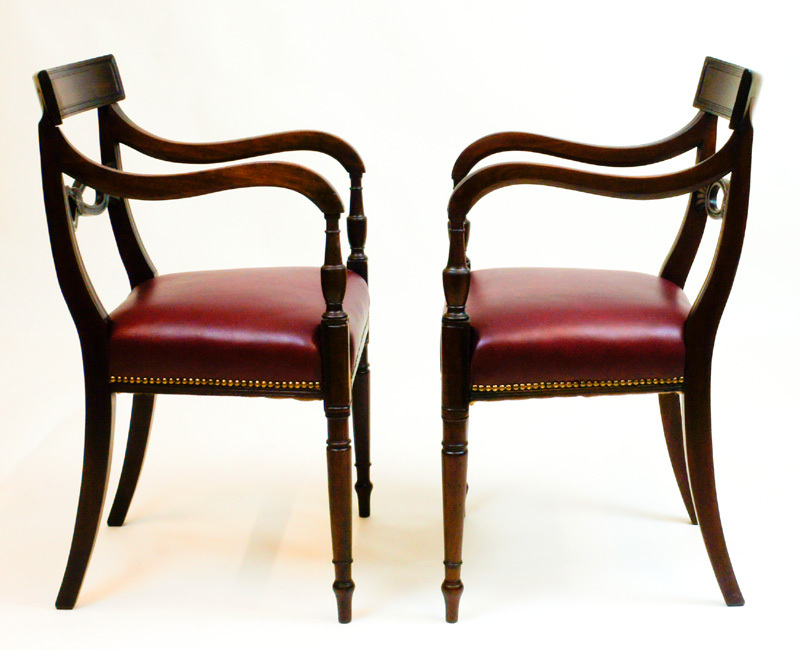 A good quality matched pair of Regency mahogany open armchairs. They have recently benefited from professional cleaning and wax polishing. The padded seats have been re-upholstered in crimson hide. These very attractive antique chairs are of the same pattern but with minor variations to the turnings and back supports. They have most likely been made in the same workshop as the pattern of the central splat is an unusually design. 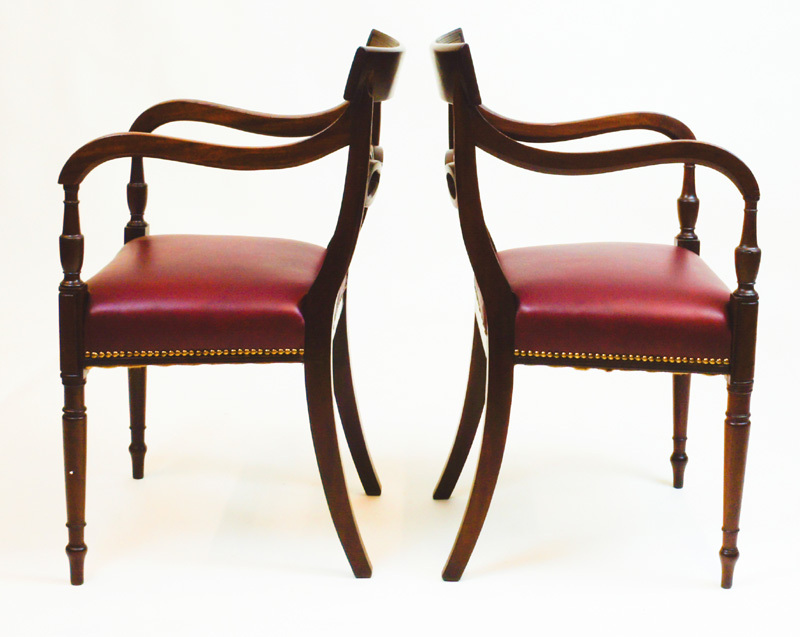 A good quality matched pair of Regency mahogany open armchairs. They have recently benefited from professional cleaning and wax polishing. The padded seats have been re-upholstered in crimson hide. 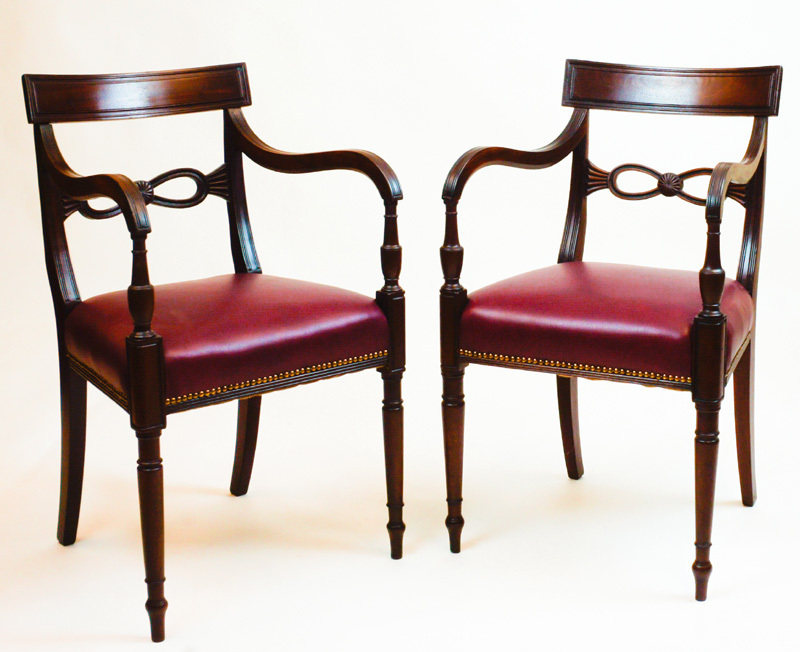 These very attractive antique chairs are of the same pattern but with minor variations to the turnings and back supports. They have most likely been made in the same workshop as the pattern of the central splat is an unusually design. They have shaped and reeded back supports and the splats are bow-shaped with a circular central floret. 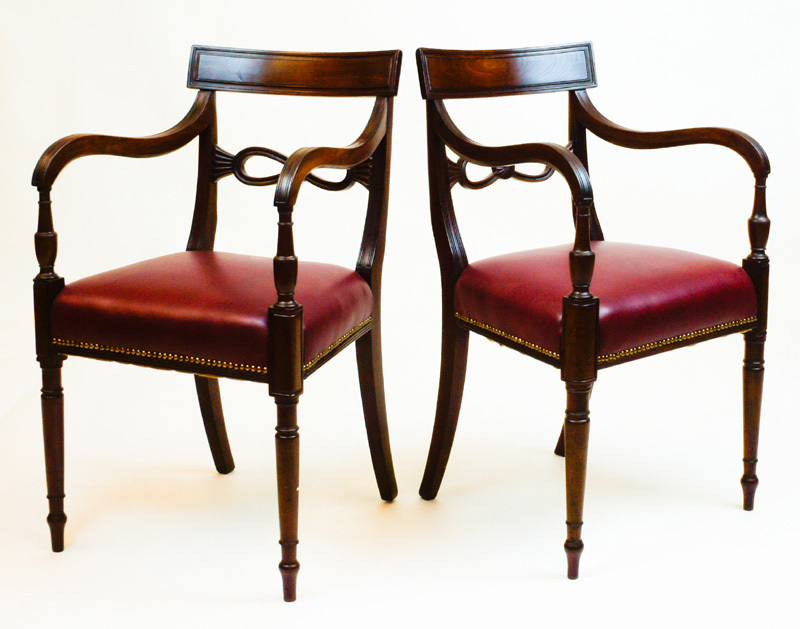 The chairs have beautifully curved and reeded arms with vase shaped supports. The front legs are well turned and the rear legs are elegantly swept back. and would make an ideal pair of chairs for an antique partners desk. They could also of course also be used as occasional chairs.